For successful summer holidays in the mountains, book your accommodation to Verbier in Valais massive, Switzerland. This mountain resort will offer you exceptionnal areas and surprising landscapes. Your summer accommodation to Verbier will be for you a moment of wellness in the heart of a beautiful nature and you will spend holidays in wide open spaces. Our moutain offers will make you live warm emotions with all your family. We propose you quality holidays accommodation in all French massives, in the heart of mountains. We have many residences to rent for your summer to Verbier. Let yourself be carried by a feeling of happiness, enjoy the summer holidays in the mountains full of sun and discoveries ! 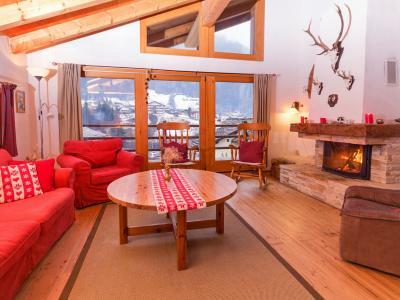 The Chalet Val de Verbier is a new luxurious chalet with sauna and open fire log. It is located in the lovely district of Le Chable. In this excelently equipped and comfortable chalet you'll feel like being at home. Restaurants, supermarket, gift shop, bank, post office, sport shop are 300 m away. In Verbier centre you will enjoy nightlife, shops, indoor/outdoor swimming pool, skating rink.. 4 km away.